Globally renowned scholars in the field of artificial intelligence gathered at Samsung Electronics’ Seocho campus in Seoul on Wednesday to discuss the tasks faced by Samsung and other tech giants in embracing AI in the near future. The first day of the two-day Samsung AI Forum focused on deep learning algorithms and technologies, with the tech titan inviting eminent professors recognized as experts in the deep learning sector. 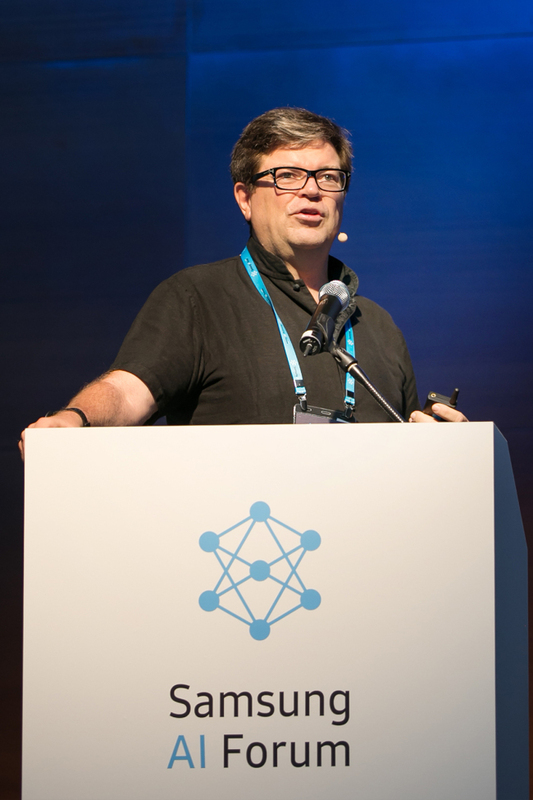 Yann LeCun, a professor at New York University, lectured on self-supervised learning that suggested methodology for modeling a self-learning SI system. Yoshua Bengio and Aaron Courville, professors at Montreal University, Joel Pineau, a professor at McGill University, and Yang Eun-ho, a professor at the Korea Advanced Institute of Science and Technology, presented on deep learning. 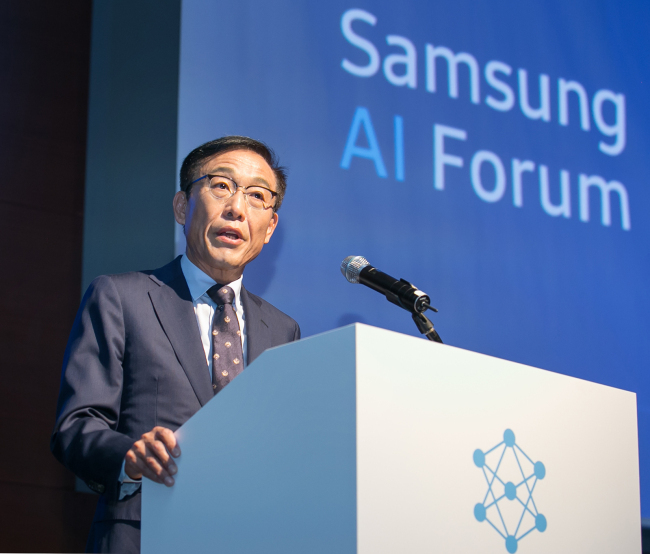 “Today’s forum is aimed at confirming the potential of AI technologies and establishing grounds for collaboration with global experts in the future,” said Kim Ki-nam, CEO of Samsung Electronics device solutions division and chairman of the Samsung Advanced Institute of Technology. Around 1,500 domestic and foreign experts and university students attended the forum. A session will be set aside for students on the second day to present their research work to global scholars and seek advice. With AI set as one of its four growth businesses, Samsung continues to make investments in AI-targeting R&D projects. The company opened its sixth AI R&D center in New York last week.